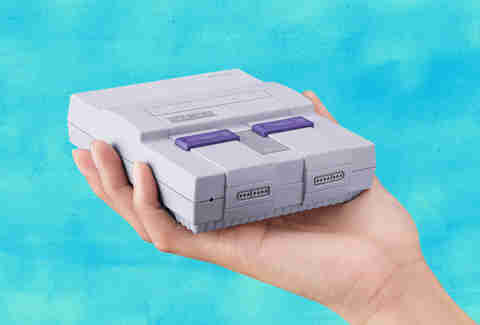 Considering the short lifespan and heartbreaking scarcity of the NES Classic Edition late last year, Nintendo's announcement on Monday that it's launching an SNES Classic Edition this fall was greeted with both excitement and an understandable amount of skepticism. Why get pumped about the mini retro gaming system if you'll never be able to buy one? Turns out there's both good news and bad news if you want to spend days playing Donkey Kong Country and the 20 other built-in games on the device this fall. Nintendo didn't say how many units of the nostalgia-inducing gaming system it plans to make or what stock will be like in stores when it launches in the United States on September 29, leaving the door open for speculation that getting your hands on one will be just as frustrating and hopeless as its predecessor. However, when reached via email on Monday afternoon, the company provided some vague but important clues to what availability might look like. "We aren’t providing specific numbers, but we will produce significantly more units of Super NES Classic Edition than we did of NES Classic Edition," Nintendo of America said in a statement. "Super Nintendo Entertainment System: Super NES Classic Edition is currently planned to ship from Sept. 29 until the end of calendar year 2017. At this time, we have nothing to announce regarding any possible shipments beyond this year." Well, that's encouraging, right? 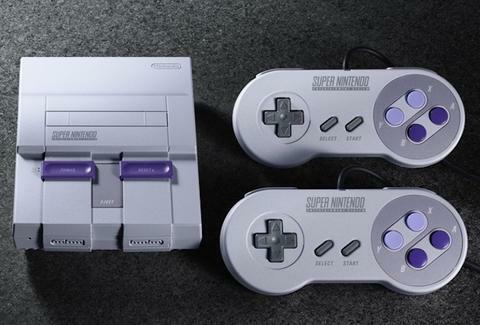 The good news: Nintendo is making "significantly" more units of the SNES Classic than the NES Classic. The bad news: The company doesn't plan on producing shipments of the device after the end of the year. In other words, while you may have a better chance at getting your hands on one because there will be more units available, they'll be around for a shorter time compared to the NES Classic. Your Christmas might not be ruined this year after all. Might. Nintendo went on to say that it's more focused on delivering games for its new Nintendo Switch system and even admitted the SNES Classic is basically just a treat for "the fans who show tremendous interest in our classic content." In related bad news, the '90s-era throwback machine costs $20 more than the NES Classic, comes with 21 games versus the NES Classic's 30 games, and comes equipped with wired controllers. At least the cables are 5ft long, according to a report by Mashable, and a second controller is included for multiplayer gaming this time. In any case, you might want to start mentally preparing yourself for the moment the damn things go on sale. Oh, and for the super nostalgic trip back to 1992 lane via Super Mario Kart. Tony Merevick is Senior News Editor at Thrillist and is so ready for the online flash sales, you guys. Send news tips to news@thrillist.com and follow him on Twitter @tonymerevick.